Ever wonder how we get stuff done so quickly around here? 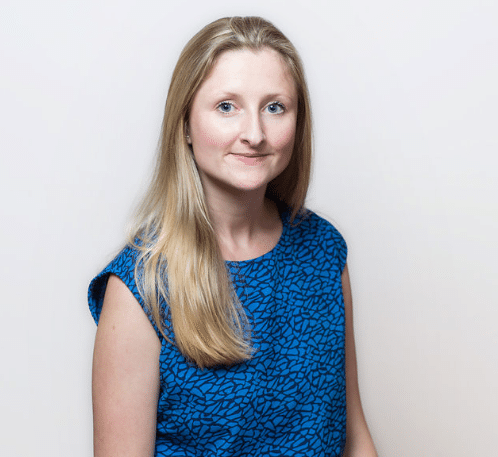 Meet our Director of Client Services, Charlotte Gilmour. Another London transplant, Charlotte is an environmentalist who loves the oceans and spends her weekends hiking or surfing. We managed to grab Charlotte for a few minutes between running meetings and brainstorms to ask her a few questions about being a publicist, her role models, yulu culture, and what gets her out of bed every morning. Coming to work alongside smart, driven people united in a common goal to use communications as a force for good. The culture at Yulu is unique and thoroughly refreshing. The memory jar everyone has on their desks. When we do something we’re proud of, we write a note and keep it in our jars, or sneak compliments into colleagues’ jars. We celebrate these achievements at the end of the year. What social issues are you passionate about? I’m an environmentalist who is passionate about cleaning up our oceans. As a surfer, nothing upsets me more than seeing plastic in the waves. I want to continue to learn and implement change in my own life to protect the environment, as well as use communications to spark meaningful change through others. I’m driven by two things; an eagerness to learn new stuff and a need to achieve impactful results. I’m another British transplant (yep, with one of those accents), and spent the first half of my career working in two PR agencies in London.